Great news-Phil and Neil now have their licenses to fly G-UH1H!!!! After seemingly endless discussions with the CAA we are delighted to announce that AT LAST, we can now fly the huey on our own! We were issued with the permit to fly back in March and since then have been working on sorting out the type rating training in conjunction with Geoff Connolly . So on the 8th May Phil and Neil traveled down to Redhill to meet up with Geoff for them all to do their tests. Geoff had to do his examiners rating and Neil had to renew his instructor rating on the UH-1H and do his pilots type rating. Neil and Geoff were the first to be tested by Fred Cross the CAA Flight Examiner. We would like to thank Fred for making things happen at the CAA when everything seemed to be on a go-slow! It was a tense few days for everyone but Geoff and Neil sailed through without any problems. However, a small technical problem with the helicopter meant that Phil was unable to complete all his training and do his test before he needed to be back at work! So, while Phil was grounded at Redhill and the engineers were busy fixing the machine, Neil scurried off to the CAA offices at Gatwick and entrenched himself in their offices from 9am until 3pm in order for them to update and validate his licence! 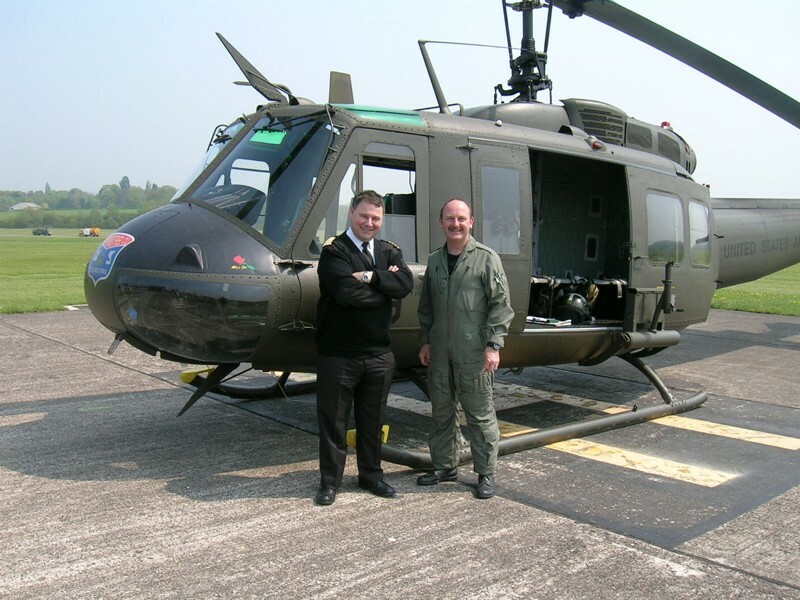 That meant that he could then fly the huey home to Lancashire as Pilot in Command. They stopped off at Wolverhampton for fuel and managed to just get home before official sunset! 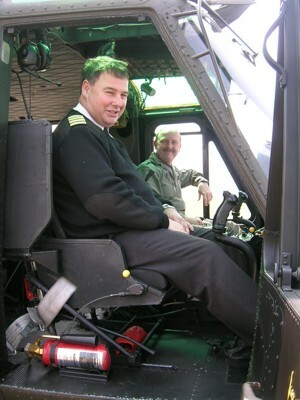 Phil completed his training with Neil and did his test on 22nd May 2006 at Blackpool . In contrast to the conditions Neil flew his test in, Phil had to contend with 35mph variable gusting winds and driving rain!! Next challenge-Flying Display Licences! Watch this space!! !